The MAS is a driven individual having the right capabilities to learn and educate by writing through experiences and knowledge. 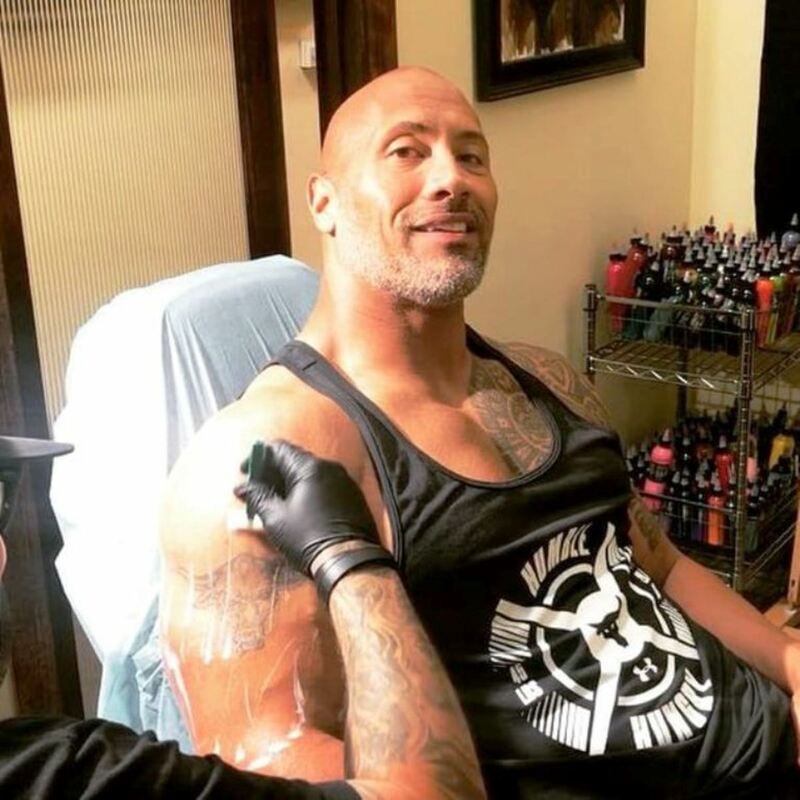 Dwayne “The Rock” Johnson has displayed his love for ink for over two decades now. We have seen him sport some of the most awe-inspiring tattoos over the years, all of them quite memorable and unique in their own way. 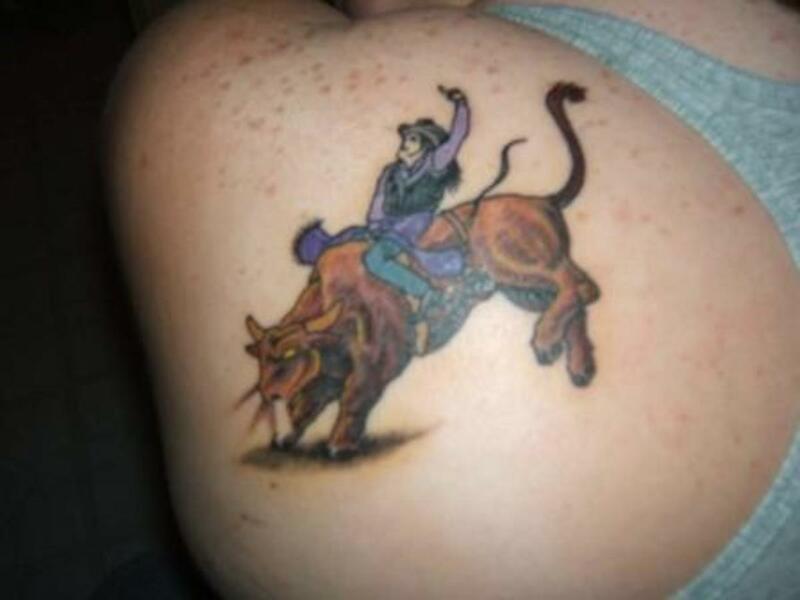 His signature Brahma bull tattoo was memorable for obvious reasons. By far one of the coolest tattoos in the world, it signified his charismatic personality and unique persona. Apart from this he also has a tribal tattoo that represents his Samoan ancestral history. 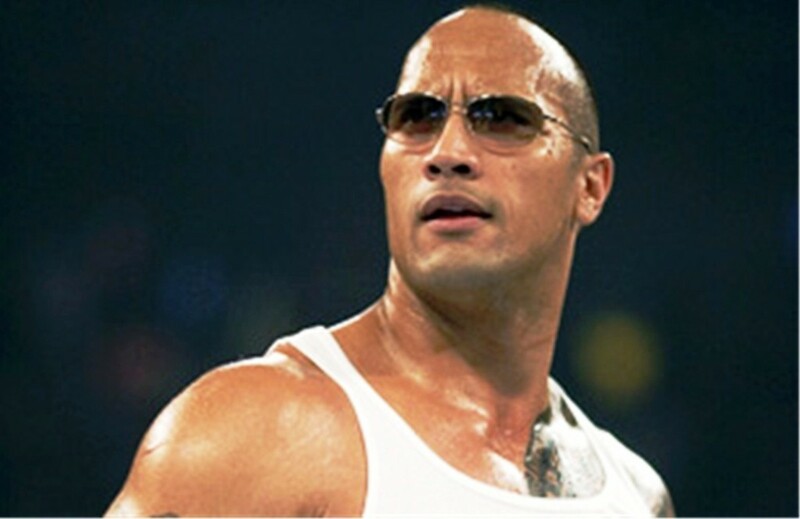 The Rock recently decided to make some modifications to the famous Brahma bull tattoo engraved on his right bicep. As per the people's champion, the masterpiece took 22 hours and three distinct sessions to finish. 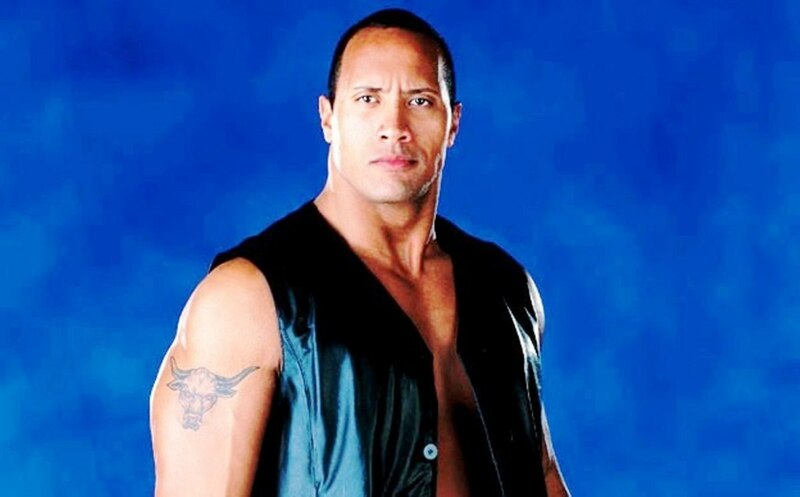 The Rock got this famous Brahma bull tattoo on his right shoulder in the mid-90s when he started his wrestling career. The Bull became an icon soon after. It represented a major part of his on-screen personality and also his real-life character. 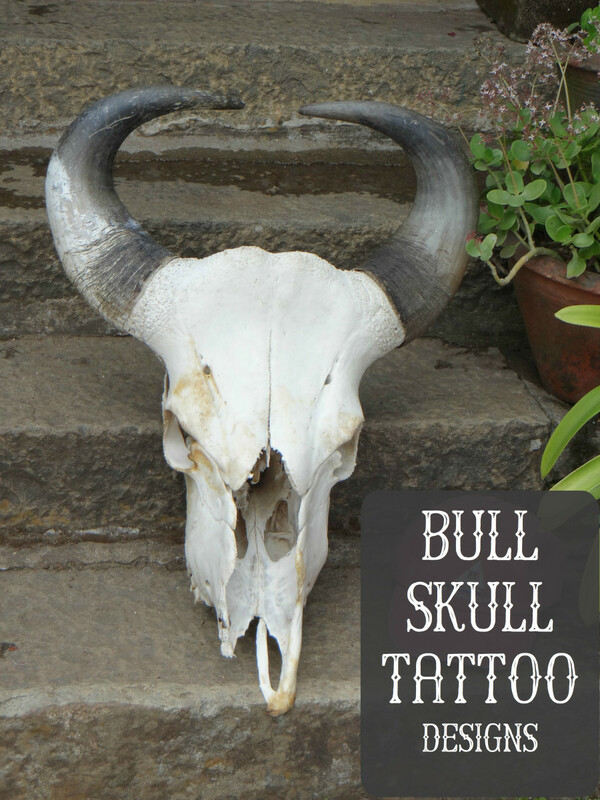 He sported the tattoo for over two decades until 2017 when had it re-worked into a more evolved version of the Brahma bull. Evolution of the bull begins w/ @nikkohurtado. I've engrained this bull in my DNA for two decades. My core. Humbly, it's also become a symbol of strength, resilience, heart, power and defiance to so many people around the world. I got this tattoo when I was just a kid. Now I need it to reflect me as a man. 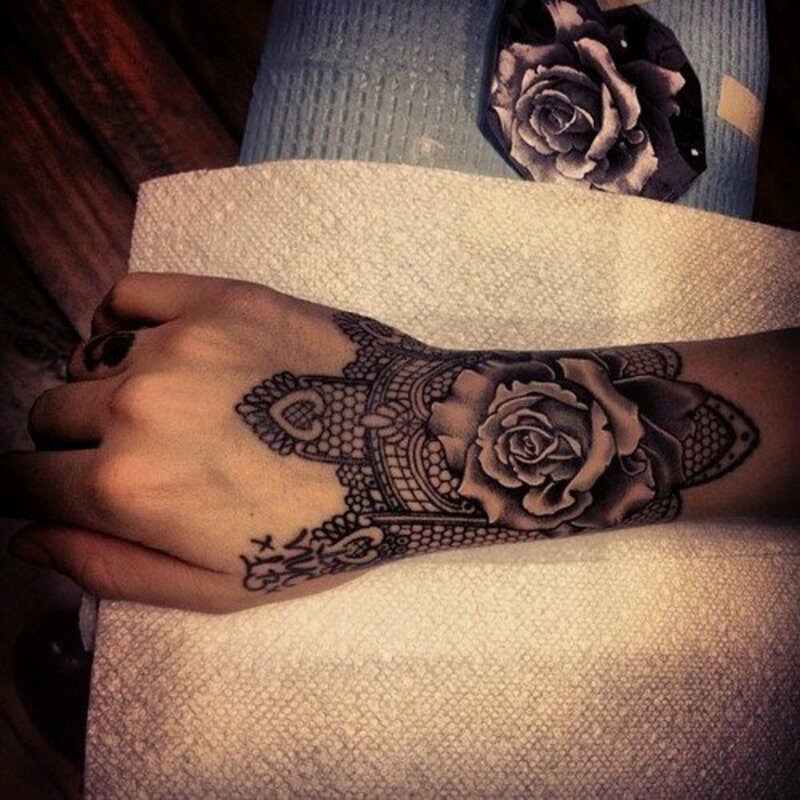 All my ink is a rite of passage and spiritual and the MANA (power and spirit) has to be right before we begin. Mana is strong with world renowned Nikko. We talked for hours about the man I am today, compared to who I once was. And who I'll always be. We all desire to grow and evolve. The mana is right.. let the blood and pain begin. 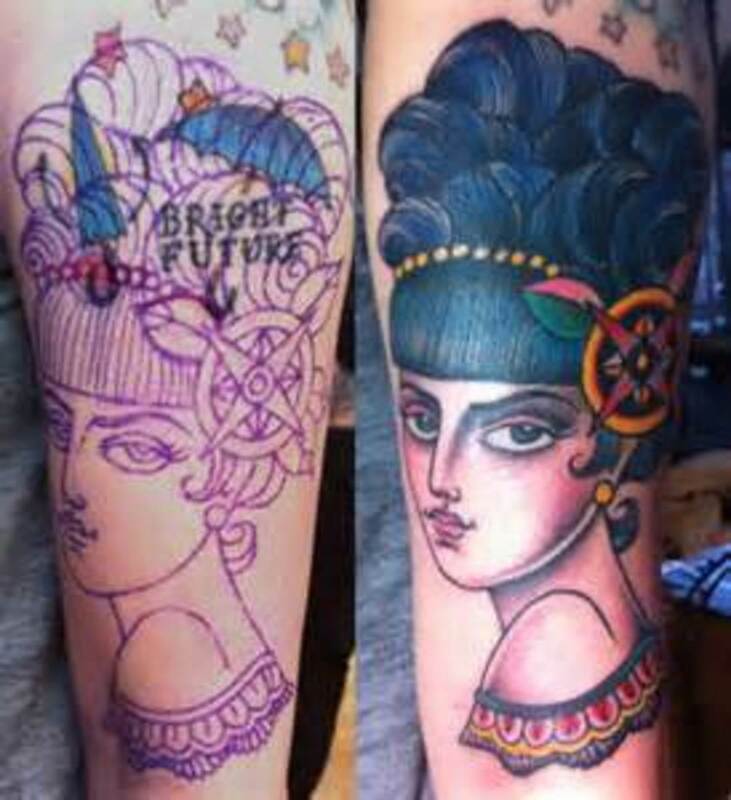 The ink on his right bicep needed a refresher to transform the vintage tattoo into a new and bigger version of the bull. The Disrupter, as The Rock hash-tagged it on his official Instagram page, is a reflection of his own personal history. The Rock announced that the iconic bull tattoo was going to get an overhaul, dubbing it as "the evolution of the bull." Social media started to buzz instantly. People talked about it for days until he unveiled the modified version. The Evolution of the bull begins..
"Every detail is a reflection of my own personal history,"
The Rock explained in an Instagram post. Evolution of the bull. Blood, sweat & years. After 3 sessions and 22hrs of tattooing with world renowned @NikkoHurtado, the story's almost done.. Every detail is a reflection of my own personal history. From the cracks and heavy damage in the bone representing life's hard lessons I've learned over the years. 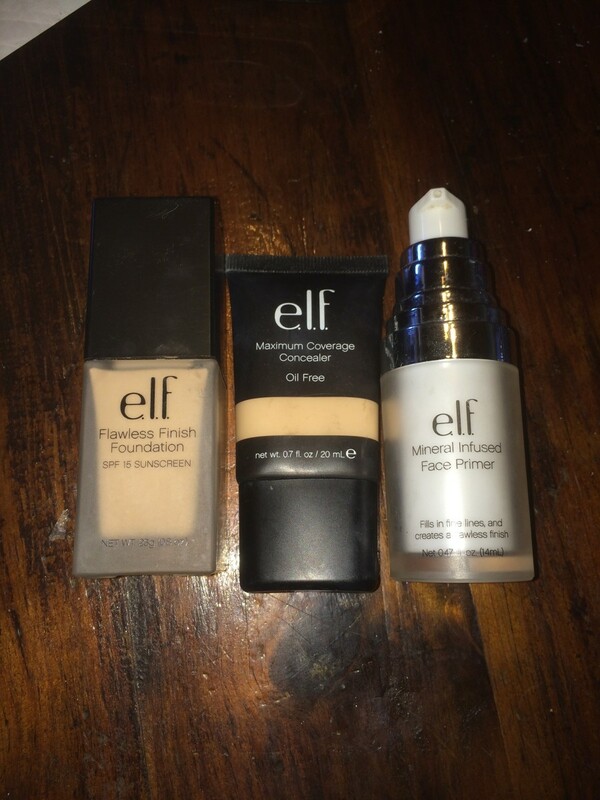 Just like scars and wrinkles - I'm so grateful to have 'em because they're earned. To the horns, not pointing up or out to the side, but pointing straight ahead representing relentless energy and forward progress. The core and anchor of this image is in the eye. Look closely and you'll find the life, energy, power and you'll feel the MANA (spirit). The eye tells the story of a disruptive positive energy always ready to dent the universe. Depending on the light and angle, sometimes the energy's subtle and sometimes it's glaring. But it's always alive and ready to disrupt the universe and love and protect my family and all things I love with intense passion and gratitude. Cheers to living, learning, evolving and growing. And to the positive disrupters ready to dent the universe. The Rock does not need any introduction. This larger-than-life personality is known for entertaining the world for over two decades now. Famous for his awe-inspiring talent and entertaining the world since 1996, he is undoubtedly the most electrifying man in all of entertainment. Standing 6 foot 5 inches tall, he started his professional wrestling career in the year 1996. He was the first third-generation wrestler in the company's history as he followed the footsteps of his grandfather, High Chief Peter Maivia, and his father, Rocky Johnson. Since then, The Rock gained mainstream popularity, becoming one of the greatest and most charismatic superstars in professional wrestling history where he is also a 10-time world heavyweight champion. He is also one of the most powerful and influential celebrities on the planet. In 2016, he was the world's highest-paid actor and Time named him one of the 100 most influential people in the world. The Rock’s popularity has won him a legion of fans around the world as he continues to amaze the world with his superb skills and awesome display of talent. 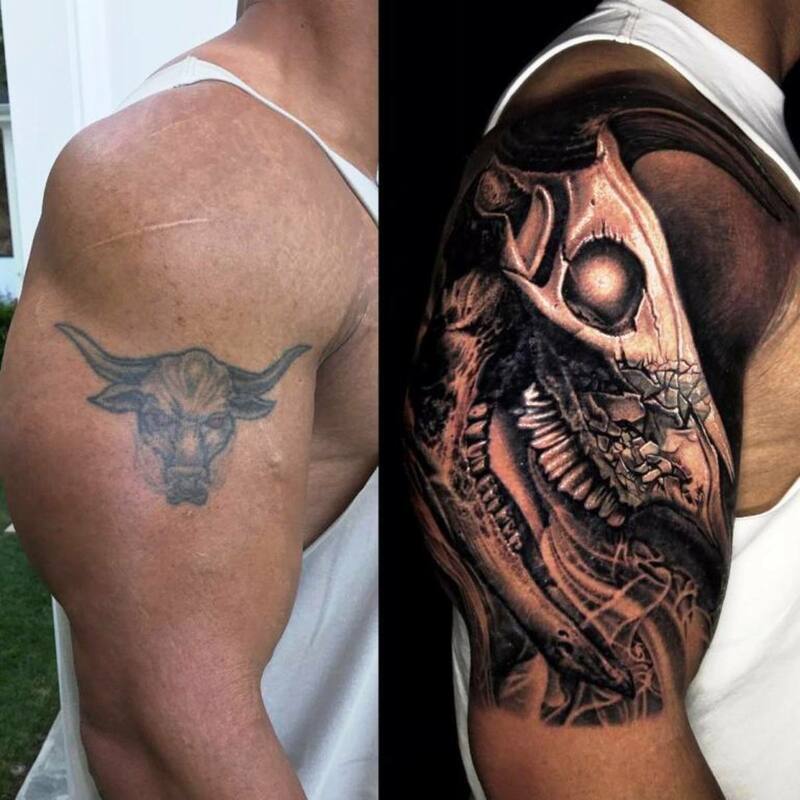 Which version of The Rock's bull tattoo is your favorite?